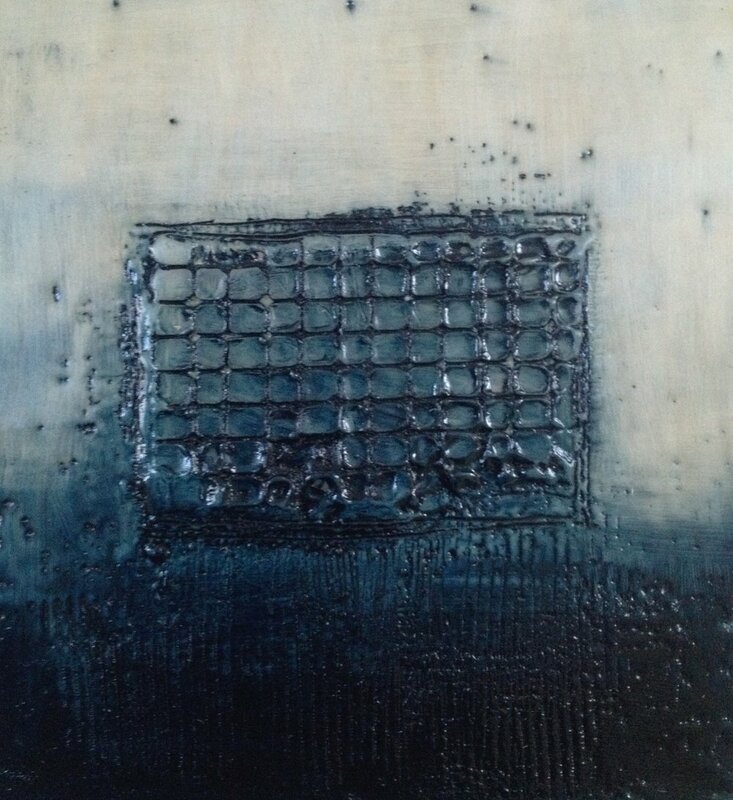 Work in encaustic should be cared for as you would for any fine art. Work can be stored, wrapped in waxed paper and bubblewrap, at room temperature and out of direct sunlight. 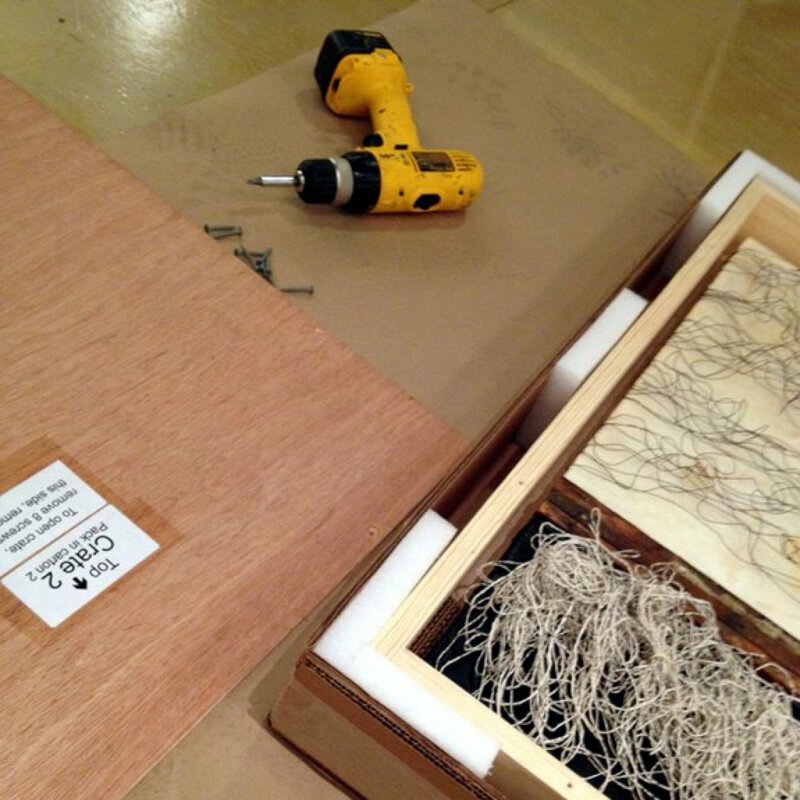 Download Caring For and Shipping Encaustic. Medium is encaustic paint without pigment. Add it to encaustic paint to increase translucency for glazing or as an economical sizing for panels. On its own, it can be used for effortless collage work. 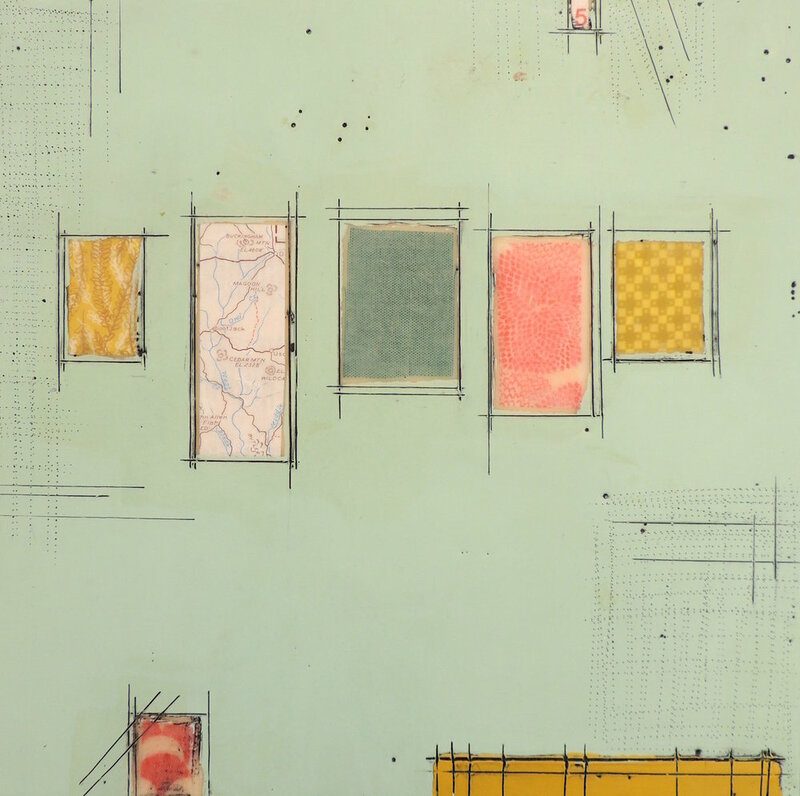 Watch a video on Glazing and Collage. Images can be created directly on a heated palette and then lifted onto a piece of paper much the same way that a monotype is made in printmaking. The benefit to creating encaustic monotypes is that once you lift your paper and it cools there is no drying time. This process has an immediacy to it that many others do not. You can pull multiple prints in a relatively short amount of time. Opaque colors have total hiding power and bright top tones. Both opaque and transparent colors can be extended with encaustic medium to make them more transparent. Layers of color can be laid one on top of another or separated by layers of medium to create unusual translucent effects. Black and white and colored photocopies, as well as some computer ink jet and laser prints, carbon and graphite paper, graphite, charcoal, pastel, and oil drawings, and book embossing tape can all be transferred onto wax. Download a handout on Image Transfers. There are a multitude of tools that can be used to create scraped lines and edges. These range from sculpture, ceramic, and dental tools to found objects and string. Masking tape can be used to mask surfaces that can be painted into, then pulled back to create a line. Pre-manufactured stencils or handmade stencils can be applied to the wax and painted into to form shapes, designs, or patterns on the surface. Shapes can also be carved out and filled in with another paint color, creating an inlay effect. For a smooth surface, use a hake brush and a palette cup of paint or medium. Apply the wax in sections, moving across a small area of your panel in one swipe to avoid the build up of texture that will occur as the wax cools across the surface. Working with cooler wax or using multiple applications with a brush (especially a dry brush) will build up texture. 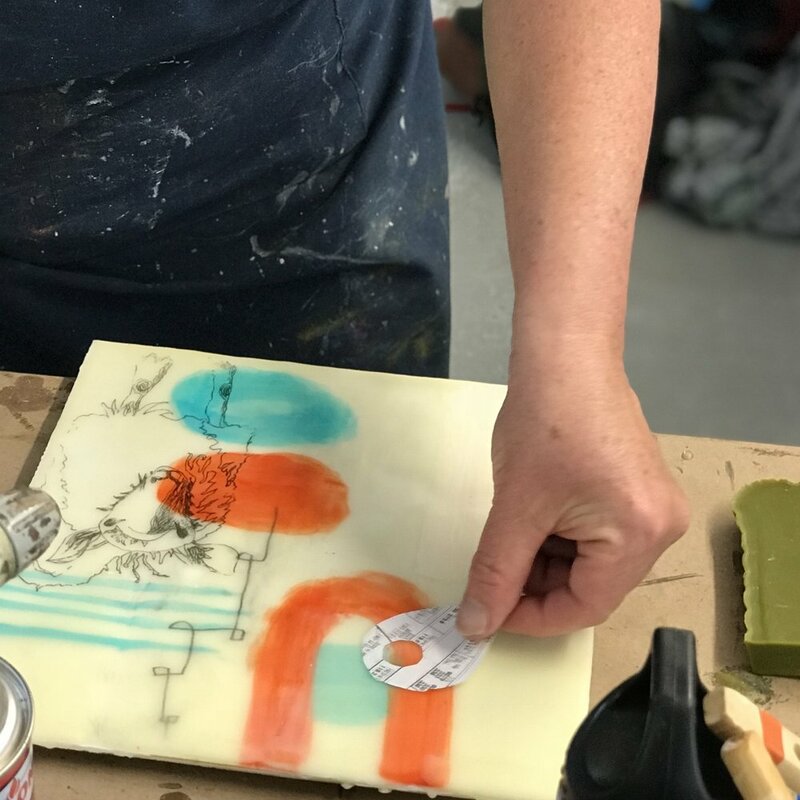 Pouring is a technique that can be used to build up the surface with encaustic without using brushes. By creating a barrier around your support, you can simply pour melted encaustic paint or medium onto your panel. Allow the encaustic paint or medium to cool to room temperature before removing the barrier. It is helpful to heat up your support prior to pouring. As you build up layers of encaustic you can also scrape down to reveal previous layers. The reductive nature of the scraping process can expose colors and imagery that might otherwise be unseen. This method blocks off certain areas in preparation for painting. By taping off an area with either painter's tape or simply using the edge of a piece of paper you will have a high degree of control when applying paint. Simply remove your stencil and you will be left with clean lines, shapes or pattern. 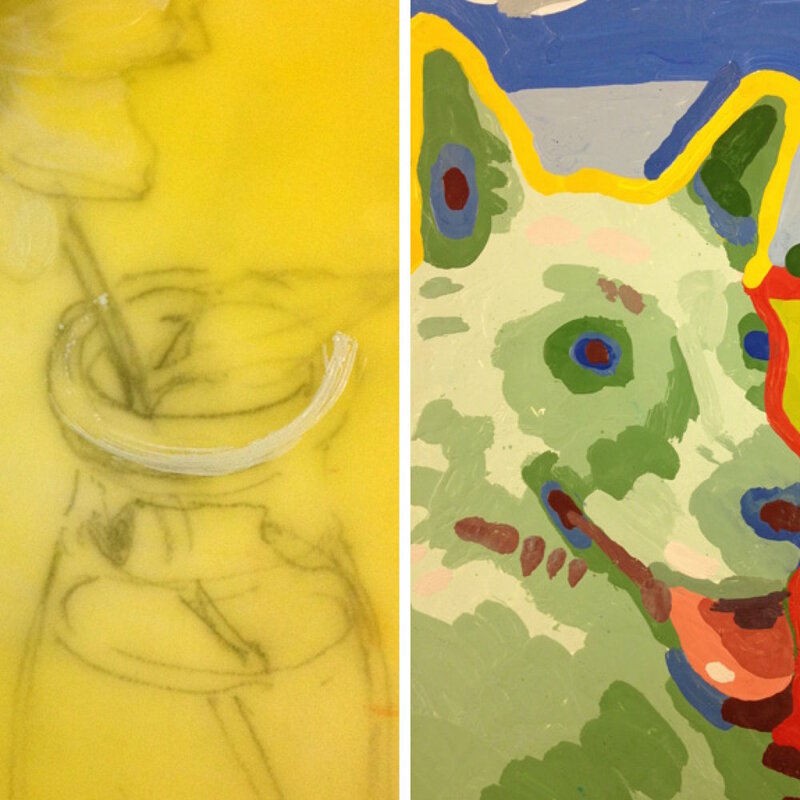 Encaustic offers limitless possibilities to artist seeking to working 3-dimensionally. Wax as a sculpting material has many advantages, including strength, fluidity, translucence and flexibility. It can be cast, carved or built-up quickly.